Both praise and objections were blowing around Norwegian plans announced on Tuesday to go ahead with what’s billed as the largest land-based windmill project in Europe. State-owned energy firm Statkraft, local utility TrønderEnergi and an investor consortium called Nordic Wind Power plan to build the windmills on the Fosen peninsula, at Hitra and in Snillfjord. It’s a coastal area in the central portion of Norway known as Trøndelag that’s been determined to have some of the best wind conditions for power production in Europe. That’s helped justify the decision to invest NOK 11 billion (USD 1.3 billion) in the project, after earlier plans were dropped last summer because of profitability concerns. The various players involved have worked since, they told Norwegian Broadcasting (NRK), to avoid losses, aided by new technology that already has made the windmills themselves more efficient and profitable. “This is very good news, that there will be wind power construction in Trøndelag,” Monica Mæland, the government minister from the Conservative Party in charge of business and trade, stated on Tuesday. She called the project “one of the absolute largest industrial projects on the mainland” and claimed it would provide “a considerable boost” for more renewable energy in Norway. Statkraft, wholly owned by the Norwegian state, will own 52.1 percent of the company set up to own the windmills, called Fosen Vind DA. TronderEnergi will own 7.9 percent of Fosen Vind and Nordic Wind Power the remaining 40 percent. Statkraft described Nordic Wind Power as a European consortium of investors put together by Credit Suisse Energy Infrastructure Partners and supported by the Swiss energy firm BKW. It bought out shares in the project previously held by local utilities Agder Energi, TrønderEnergi and Nord-Trøndelag Elektrisitetsverk (NTE). The first new windmills in the project are expected to be delivered and mounted by 2018, and when operational and generating 1000MW, provide power to around 170,000 households. Mæland said construction will begin later this spring and the entire project will be completed in 2020. 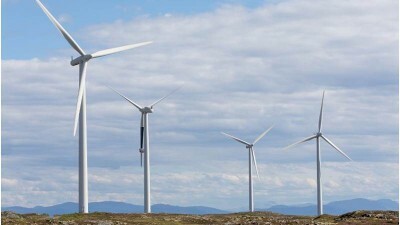 Rynning-Tønnesen admitted the windmills will produce more power than needed in Norway, “but this is a step in the direction of more environmentally friendly restructuring of power production in all of Europe.” The windmills will be connected to a new line for a central power network being built south from Namsos. Not everyone is pleased by the prospect of huge windmills along the Norwegian coast, traditionally a source of income but also open space and nature. While environmental groups are constantly promoting renewable energy and urging alternatives to Norway’s oil and gas industry, wind energy is controversial because of the site of the turbines themselves, the noise they can produce and the hazards they pose to birds. Some local groups of Norway’s indigenous Sami also expressed concerns for their reindeer grazing. One reindeer owner, Arvid Jåma, went so far as to call the windmill project a “catastrophe” for his group of southern Sami folk in Fosen.